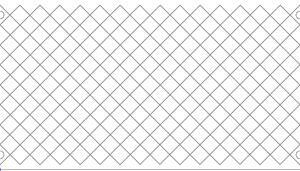 Grid is entire template. Connects to quit entire quilt. 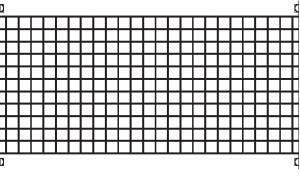 Individual squares are 1" x 1". 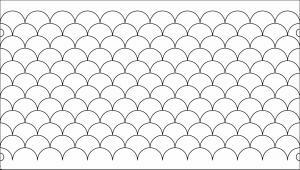 This template is the popular clam shells pattern. The clam's radius is about 1 1/2 inches (1.57 exact). The panels are 2 feet x 13 1/2 inches. 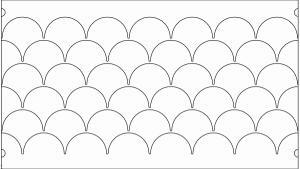 The panels connect end-to-end to form a continuous pattern. 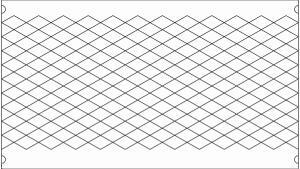 This Crosshatch template is made up of 1.12 inch squares rotated at 45 degrees. 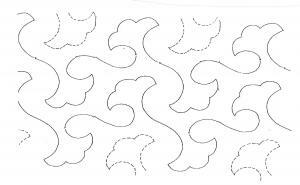 Each panel is 2 feet x 13 1/2 inches and can be mated end-to-end to create a continuous pattern the length of your quilt. 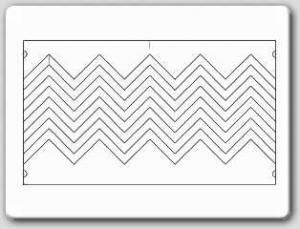 Crosshatching extends to the edges of the template to utilize the entire board. *Note: This will not match with the older style of crosshatch. 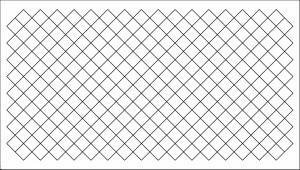 If your previously purchased crosshatches width is 9 1/2" it will not match with this template. The lace pattern is about 10 inches tall. 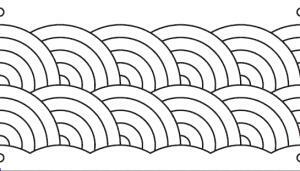 Pattern made by Diff'rent Strokes. Has no crossovers and makes a nice bear pattern. This is the popular Baptist Fan. 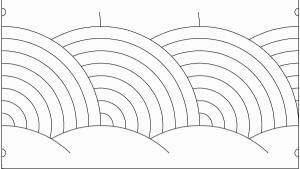 The large radius is about 8 inches (7.917 exact) and the smallest radius is about 1 inch (.995 exact). These 2 foot x 13 1/2 inch panels will connect end-to-end to the length needed. Template has 2 rows of baptist fans, each being 5" tall. 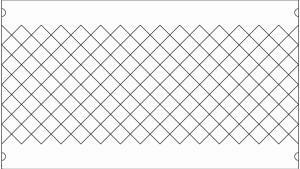 Template has 3 rope patterns included. At 5", 4" and 3". A great design for any quilt! 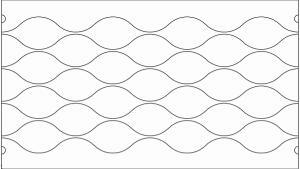 2 continuous lines. Stars range from 4" down to 2". Hatches ar 1" tall, spanning 12". Does not connect with other templates! Different variation of meandering. 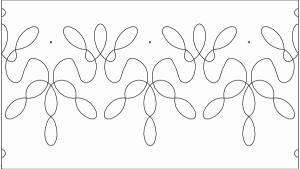 2 continuous lines. 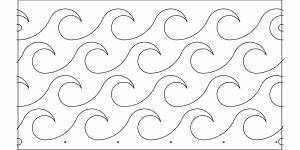 Add a wonderful wave to your quilt. 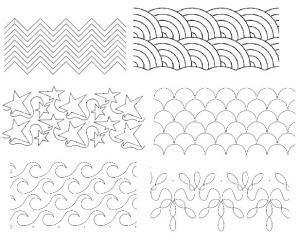 Great for ocean, lake, river, and sea motifs! I've shopped here before and have always been pleased with the product and the price. Keep up the good work. Quilt-EZ A011A Quilting Frame Stylus & Holding Bracket: Tin Lizzie 18, Pfaff Grand 18", Viking Mega 18"